Counselling in Cosham, Portsmouth, Havant and surrounding areas from Fareham to Waterlooville and Emsworth. Welcome to my website. My name is Lisa Buckingham and I am an experienced Person Centred Counsellor and therapist based in Cosham, Portsmouth providing counselling to people in Portsmouth, Havant, Fareham, Waterlooville and surrounding areas. I am a BACP Accredited Counsellor/Psycotherapist and DBS checked. People often ask me what kind of therapist I am and what issues I work with and my reply is "I work with the person, not necessarily the issues. We all have experiences with similiarities that are universal but your experience is unique to you and you are a human being, not a theory." My specialism is bereavement and grief counselling. We will all experience a bereavement at some time in our life. You may be worrying that you are not coping with your loss and think that you are grieving too heavily or for too long. You may have been told that you need to get on with your life after someone you love has died and that's easier said than done. I am also experienced in working with people with life limiting illness and caregivers as well as clients that have a relative or friend that are dying and have just completed training in infant loss. Loss is experienced in many situations, loss of job, health, relationship or pet plus many more. Grief is not a linear process and the feelings and thoughts it brings can make you feel overwhelmed. I provide the space, compassion and help that will facilitate you in processing your grief. I am also an accredited counsellor for infant and baby loss with The Foundation for Infant Loss Training organisation. If you are feeling overwhelmed, wondering where you are going and whether you have any choice in what is happening in your life counselling can help you understand yourself. Emotions, thoughts and moods can sometimes feel hard to manage and it can be difficult to make sense of how we are feeling or what we are thinking. Counselling facilitates exploration. You may be feeling isolated or lonely as you do not feel able to share your thoughts and feelings with friends or family and as a Counsellor I will listen to you without judgment and facilitate the sessions in a way that enables you to find clarity. I charge £40 for a acounsselling session which lasts one hour. You may be unsure that Counselling is right for you and the way to find out is to take the first step and make an appointment with me. My counselling room is in an easily accessible location with direct access from the A3/A27/M27 in the Cosham area of Portsmouth. As a therapist, I offer a safe, confidential and informal space within which you can reflect, work through and achieve clarity and self-understanding. People visit a counsellor and therapist for many reasons. My approach is to focus on you as an individual. Your experience is unique to you and I will help you to gain understanding through self-awareness. As a counsellor I will facilitate your exploration without judging you. It may be that you are having relationship problems and have no one to talk to or want to make sense of the direction your life is taking. Bereavement is often a reason to have counselling. Grief affects people in different ways and can feel overwhelming. It is not limited to the death of a loved one though as loss can be experienced for many reasons for example, redundancy, health and relationships. This can lead to loss of self-confidence, affect your self-esteem and motivation. You might feel that you are 'stuck' in your grief and this is when counselling is particularly helpful. Anxiety can affect many aspects of your life, relationships, work, social life and is very tiring and debilitating. Anxiety is one of the most common causes people have counselling for. Depression is also debilitating. If you are depressed it is easy to isolate yourself and become extremely lonely. Therapy can facilitate your process in finding a way to manage your mental health in a healthy way and also explore your triggers. Stress can be a reason to have counselling. You may lead a very busy life and find it difficult to look after your well being. It can be difficult to switch off as technology is a constant presence in our lives through social media, work related emails and the internet making us available 24/7. Life may feel out of balance, so you may find yourself struggling to juggle everything which can feel overwhelming. There are many reasons to have counselling and I have named only a few here. My role as a therapist is to work with you and whatever you bring to therapy as your experience is unique to you. Understanding you as a person is very important to me. Counselling can provide you with the therapeutic space that facilitates personal development. As a counsellor I aim to be congruent in my interactions with clients in a supportive and growth enhancing way. Counselling can seem daunting but you have taken the first step by visiting my website, take the next step and contact me Lisa Buckingham. 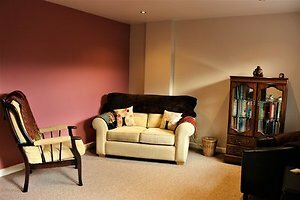 Once you have had your first session at my therapy room in Cosham, Portsmouth, I believe that you will feel comfortable . I have been a Therapist and Counsellor in the Portsmouth area since 2003 and have volunteered with various voluntary counselling organisations during that time in Portsmouth, Cosham and the surrounding areas ranging from Fareham to Havant. Home visits are possible in certain circumstances. If you would like to discuss this possibility with me, please contact me by telephone or email. I am easily accessible to the surrounding areas of Portsmouth & Cosham and only 15 minutes from Waterlooville, Hayling Island, Havant, Southsea, Emsworth, Fareham. Only 30 minutes away from Chichester, Petersfield, Southampton. With easy access from the M27, A27 and A3 road network and only 10 minute walk from Cosham Train Station. Here you can read articles I have written and reflections. A very close friend of mine died after a short and shocking battle with cancer. I understood how grief might affect me and had an expectation of myself, that as a counsellor I should be able to process my grief easily, but I wasn’t prepared for the sense of loneliness and isolation I would experience at times in the first couple of months after her death. My anger had built up over a period of time, eventually exploding and in that moment, I connected with my pain, speaking words I hadn’t said out loud, crying for my friend and for myself. This was a reminder to me that I am human and that like everybody else, I will grieve because like everybody else I love and sometimes loving another being brings unbearable pain. The grieving process is talked about a lot and is usually related to the death of a relative but what about when your best friend dies? I realised that this type of bereavement isn’t talked about very much, so I thought I would share a little of my experience and some of my thoughts. You might think that as you are not related to the person, it won’t be as painful but that’s not necessarily true. Friends are the people we feel connected to, they come into our life and we spend time with them because we enjoy their company. They are our chosen family. Relationships with family members are not always easy or particularly close and are sometimes much more complicated than those with friends. Maybe you have different types of friends, the ones you party, exercise, study or work with. You might have lots of friends, just a few or even just one close friend, who you call your ‘bestie’, the person who knows pretty much everything about you and you about them, the person you turn to when life is challenging, or you want to share something with them that is funny. There is often history with this person, shared experiences and memories. You believe you will never have a friendship quite like that one ever again and there’s truth in that as each relationship and person is unique. If your friend becomes ill or dies suddenly, circumstances or distance could mean you don’t have the chance to say goodbye. It may only be family members that are present. You might feel awkward or worry that you are imposing. If your friend did not have family, you may be the person who is with them at the end of their life. You might have avoided visiting, as you found it too painful to see them suffering. Whatever the circumstances, grieving for a friend can feel unacknowledged in many ways. When there is a death in the family, people often send a card or make contact in some way to offer support or offer their condolences but maybe not for the death of a friend. At this time it will be important to look after your physical and emotional wellbeing. Notice how your moods are. You might encounter any number of difficult feelings or thoughts. Acknowledge how you are without judgment. Be gentle with yourself, much like you would if you were showing compassion to your friend or a hurt child and try not to minimise your loss by comparing it to that of others. If you didn’t get to say goodbye or weren’t able to attend their funeral, consider creating your own ceremony by visiting somewhere you and your friend liked to go together or plant something in your garden as a memorial. You could create a memory book or box using photos, poems, drawings, write a letter to the person and include anything that has meaning to you. There are websites that provide suggestions on how to do this. Use your support network of understanding family or other friends, to help you feel less isolated. If there is no-one you can turn to and you feel overwhelmed by grief, then speak to your doctor or access the support of a bereavement counsellor.